In OTAs we are trying out different combinations on the OL. In walkthrough work, Trent Brown was LT & Isaiah Wynn LG. As usual, team will work linemen at multiple spots. Although we rotate the OL more than any other team, what do you expect/want the starting OL to be? I'd prefer to see Wynn at LT right away, use Brown as the swing tackle, and Thuney remain at LG for now. I'm pretty confident the starting lineup will look like yours. Tobin isn't eligible for PS anymore I don't think. I have a feeling that Wynn won't start. He will get a bunch of reps with starters in practice from as many positions as possible on the line, but I dont think he starts the season. Hot take. I like it. I have a feeling this is going to be the best offensive line in the Brady/Belichick era. Yeah? It's the most athletic. I can't see past Light, Mankins, Neal and co. I can't see past Light, Mankins, Neal and co.
That group gets overrated and looked at through rose colored glasses IMO. 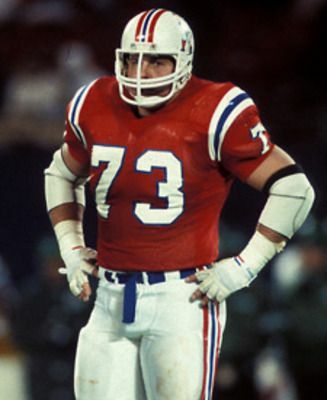 Light was solid but never really top 5 LT. Mankins had all the talent but often squandered it with bad technique and had a knack for racking up penalties. Neal is the best OLer we've ever had, however, I wasn't rating it based on individuals, I thought it was our safest OL from memory. Not as athletic as this one, but not as porous during some games. Light was good but rated much higher then he should be mainly because of Brady’s godly foot work and pocket awareness. Mankins was really good but if there was ever such a thing as an unclutch offensive lineman he sure was it. Where is the love for Dan Koppen? So Shaq is essentially gone now, right? He won’t see Martin’s contract even if he repeats 2017, but anywhere close is just out of the question. Think this pushes the likelihood it’ll be Wynn at guard and Brown/Cannon at tackle. Light was good but rated much higher then he should be mainly because of Brady’s godly foot work and pocket awareness. Mankins was really good but if there was ever such a thing as an unclutch offensive lineman he sure was it. Where is the love for Dan Koppen? Yeah I liked Koppen. I kind of liked all that line apart from Gorin. Mason traded. Someone desperate during camp number 1 or 2 pick.